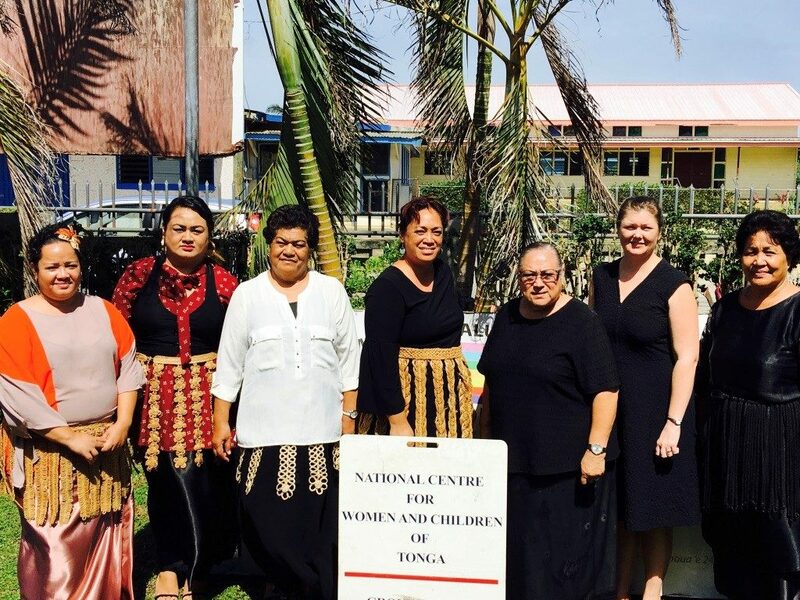 Staff of the Tonga National Centre for Women and Children (TNCWC) have completed training to support survivors of violence through a newly developed women’s economic empowerment program. From 16 – 20 April, TNCWC underwent training and mentoring to ensure that their new women’s economic empowerment program integrates strategies to address violence against women (VAW), and to minimise the risks to women’s safety. The program, supported by Pacific Women Shaping Pacific Development (Pacific Women), is focused on enabling women and girls, including survivors of violence, to have access to and control over expanded economic opportunities that they can use to make strategic life choices. The program will build the capacity of women to increase their economic empowerment at the micro-level. It is also anticipated that the women’s self-esteem and morale will be boosted with the new or strengthened knowledge and skills. change men’s attitudes and behaviours towards gender inequality and VAW. TNCWC is strategically placed to address VAW and women’s economic empowerment simultaneously because of their experience supporting women survivors of violence over the past two decades. This experience and their understanding of how VAW undermines women’s empowerment is critical to being able to increase women’s economic empowerment.